1 prize a day drawn from INTERNET orders of £100 or more on that day and a main prize drawn from all daily qualifying entrants. RAP4 is proud to introduce a revolutionary product for your action sports lifestyle. The RAP4 Hawkeye Video Recorder Sunglasses are stylish shades that come with a discreet digital video camera built right into the frame. Hit record and instantly capture color video at 30 frames per second with sound, of whatever you’re looking at! The Hawkeye Sunglasses allow you to capture all the fun around your campsite, in the staging area, or at the pro shop. Mix game footage from your T68 Land Warrior video system with behind-the- scenes action captured by the Hawkeye Sunglasses to make the ultimate scenario videos! Then wear the Hawkeye Sunglasses hiking and biking for hands-free videography, so you can capture the exhilaration of ascending steep mountain trails or flying high over creeks. All the while, you’ll protect your eyes with the 100% UV-blocking, polarized lenses. To shoot smooth-looking video, you need at least 24 frames per second…and the Hawkeye Sunglasses go a step better: they deliver 30 frames per second at 3.0 mega pixel resolution with full color and sound! The camera is discreet enough that it won’t make your subjects feel put-on-the-spot, and its light enough that after a few moments you don’t even notice its there. The whole system, glasses, battery, camera, and all, weighs only 39grams, and there are no cords or wires to worry about. The battery recharges with an included AC adapter, and the video records to a Micro-SD card. For a limited time, the Hawkeye Sunglasses ship with a complementary 4gb Micro-SD card, to get in the field making videos in no time! Each pair of Hawkeye Sunglasses ships with everything you need, including charger, Micro-SD card, and carrying case. Viva M1919A4 .30 cal MG! 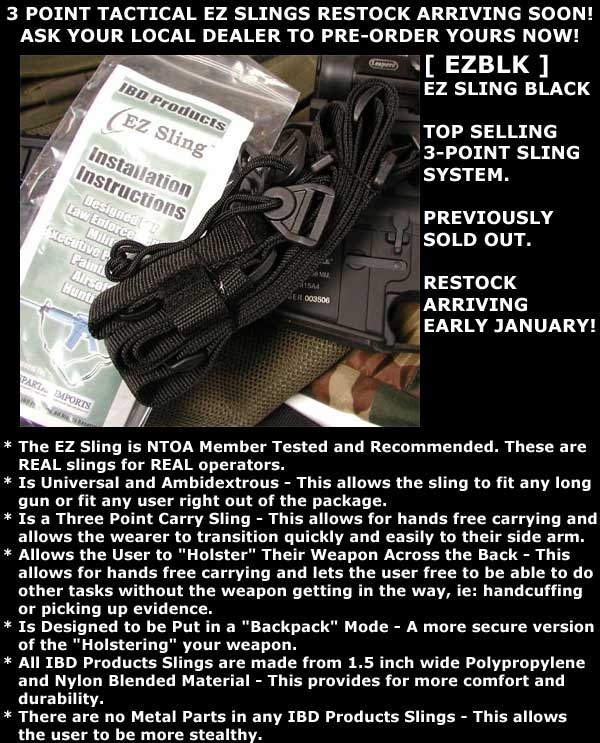 The EZ Sling is NTOA Member Tested and Recommended. These are REAL slings for REAL operators. Is Universal and Ambidextrous – This allows the sling to fit any long gun or fit any user right out of the package. Is a Three Point Carry Sling – This allows for hands free carrying and allows the wearer to transition quickly and easily to their side arm. Allows the User to "Holster" Their Weapon Across the Back – This allows for hands free carrying and lets the user free to be able to do other tasks without the weapon getting in the way, ie: handcuffing or picking up evidence. Is Designed to be Put in a "Backpack" Mode – A more secure version of the "Holstering" your weapon. All IBD Products Slings are made from 1.5 inch wide Polypropylene and Nylon Blended Material – This provides for more comfort and durability. There are no Metal Parts in any IBD Products Slings – This allows the user to be more stealthy. 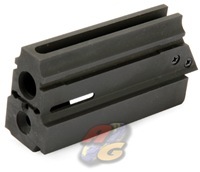 Dear Web master, Here is CRW update, we highly recommend SUSAT replica for L85A1 collectors. Please visit our video channel. 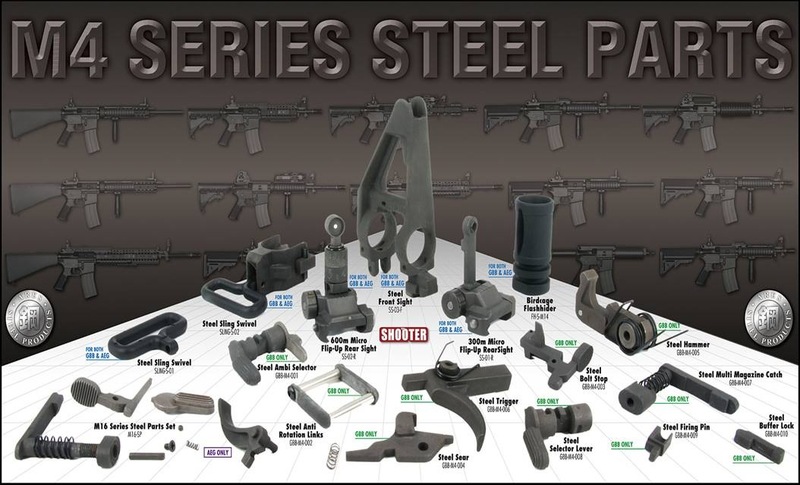 Dear Arnie, We are pleased to send you the [list] of ARES’ SHOOTER M4 STEEL PARTS. For more information of our products, please visit our website www.aresairsoft.com or please don’t hesitate contact us by return. We hope you will be interested in them and receive your order soonest. These high-performance tools blend ergonomics, style, and durability with spring action handles, external one-handed component access, and comfortable contoured grip areas. 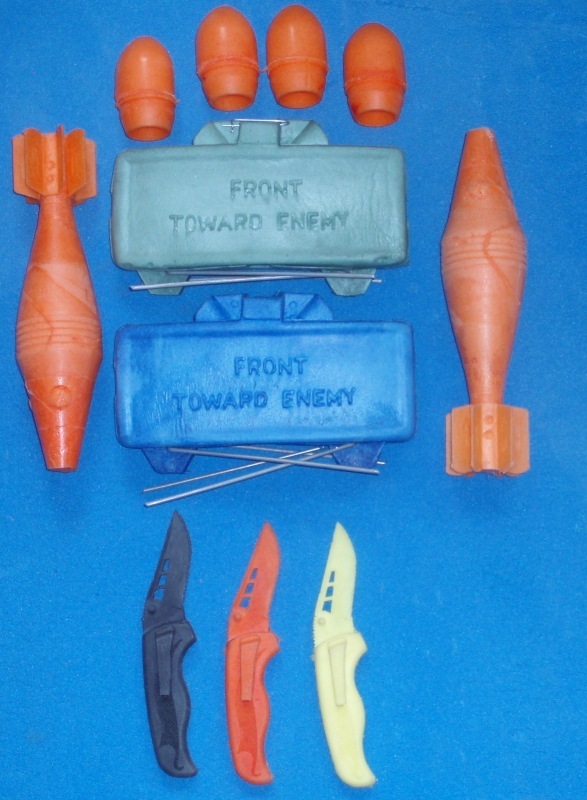 Based on their knife counterparts, they feature all outboard components, meaning there is no need to open handles to access tools. Each component is lockable, making these tools among the safest out there. And spring loaded handles reduce user fatigue during extended use. The Gerber Evo Jr is a folding pocket knife featuring One-handed opening with a finger flip that doubles as a finger guard. Titanium nitride-coated Gerber 440 stainless steel blade; featherweight anodized aluminum cut-out handle; pocket clip. If you think the concept of multi-tasking is overrated, don’t tell it to the guys who developed the patent-pending Gerber Recon. Because this long-awaited L.E.D format lets you choose from four different colors of light, depending on your needs of the moment. The official name for this Gerber proprietary technology is D.I.A.L. ?, which stands for Diode Illumination Adjustable Lens. Basically, this new design lets you dial in the color that’ll serve you best: White for general situations, red for preserving night vision, blue for identifying fluids, and green for map reading. The biggest gun show, ShotShow, is going to be hold in Las Vegas during 2010/01/19~2010/01/22. ICS is going to have a booth in ShotShow to display many ICS new products, such as new split gear box, tri-burst model MX5 pro, high quality and detail crafted ICS FNC, and the very first MGL for airsoft. They are waiting for your visit. ICS will also display the innovation and design capability. You will have better idea of the concept of ICS new product developing; experience the precise developing production procedures. Every ICS new products are developed from market and customer research and made in Taiwan. That’s why ICS could provide you top quality products. When you arrive ICS booth, the first thing you see is the branding video. We introduce you ICS brand and product features via creative videos. On the right hand side, the first topic is Design Innovation where display the future models and the concepts under developing. The new generation models, MX5 pro, is the top choice of S.W.A.T. team. ICS has received many enquiries all over the world. The hot MGL from U.S. marine satisfied the desire for suppressing fire. And the FNC, from the hundred years old firearm manufacturer, FNH, is so hard to make, therefore there is not many AEGs manufacturers would like to give it a try. Only ICS reproduces the real FNC production process to make ICS FNC AEGs. So many fans are looking forward to these new ICS products. The Product Innovation section shows each ICS AEG models, parts, and accessories. You can recognize the features of ICS products here, such as instant disassembly structure design. You will also see the new Reinforced Upgrade POM Piston Set, ICS original premium precision spring, and ICS precision BBs…etc. We also prepared the products breakdown demonstration and the videos to show you the philosophy of ICS AEG design. ICS has been on the market for over 20 years. We are customer oriented. 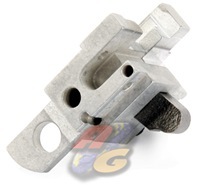 For example, the split gear box stimulates the real m4 disassembly way, the functional grip selector on Galil, the design of L86 battery room…etc. All the design combines the functionality and technology ingeniously. You are very welcome to visit ICS booth to check our new products and new technology. Just arrived for USA distribution. Dear Sir, We have got some new items released. Please kind to visit our website to obtain more information! Dear All, We would like to introduce a hot new item to you guys – Tokyo Marui G36K AEG (Blow Back). We just uploaded a new video on YouTube. Let’s check and have fun with our products. How much surprise can you get in 2010 from SRC? Let’s download the latest catalogue and enjoy it!